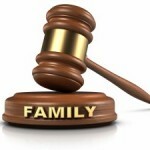 This is a common question that is asked frequently online in regard to divorce papers . I will answer this question within this article but first and foremost, I would like to address the most common answer I often see provided, which is go hire an attorney. However, I don’t necessarily agree with that answer because often times in divorce proceedings attorneys make matters worse by agitating an already stressful and contentious situation into a full blown war of the roses. Keep in mind that a divorce is already highly “flammable” and emotional without having gasoline constantly poured on the flames to make matters worse. I doubt you or your spouse will want someone (an attorney) on either side reminding each of you about how bad a person you both are. 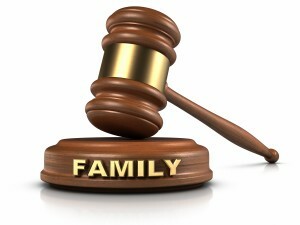 Divorce attorneys want as nasty a divorce as you can have, especially if you are able to pay the legal fees on time. You are a gold mine to them. The moment you retain an attorney, they will want to do all of the communicating with your spouse or their attorney and that is bad news for both of you. It is bad news because, more often than not, the attorney’s immediately take on a combative role. Everything becomes adversarial and everything involves a fight (which by the way, drives up your legal fees). Sometimes this is necessary; however, most times it is not. Most times, the one side wants the divorce more than the other and as long as everything is handled in a respectful manner the divorce occurs amicably. Keep in mind that nothing is perfect and divorce under any circumstances is difficult but it should not be the worst experience of your life that, by the way, can bankrupt you. If there is a possibility that you can divorce amicably (you are still going to argue and dispute certain things but if you can both communicate with each other and resolve issues) than you may only need the services of a registered, bonded, experienced and competent legal document assistant who can prepare all of your divorce papers to court standards. There are some cases that require the assistance of an experienced and competent attorney. I, by no means, am stating that you should never hire an attorney. I am simply stating that most divorces where the individuals can communicate with each other should not require the assistance of an attorney. Save your money in this circumstance to prepare for a new life. Now, to answer the original question, “what can I do if my spouse refuses to sign divorce papers ”? When you serve your spouse with divorce papers in California, they have 30 days in which they may respond to the petition. If they refuse to respond or do anything with the divorce papers then after the 30th day you may file a request for default. Once you file the request for default and it is approved by the judge, it’s basically a done deal and you may be required to file a few more divorce papers but you won’t have to worry about your spouse holding things because they did not sign the divorce papers .